After nearly three weeks of intense discussion and debate, the Synod of Bishop's final document on the family was not expected to have any hard-hitting answers, a member of the drafting commission said. Rather, the report was aiming to be a reflection of the overall sense of the "mind of the house" and indicate some general pastoral directions, Indian Cardinal Oswald Gracias of Mumbai told reporters at a Vatican news conference on Oct. 22. That is because "very clearly we are not touching doctrine, this synod is not making doctrine, but it's really seeing what's the pastoral approach, what guidelines can we give" the pope, who convoked the synod for their input. 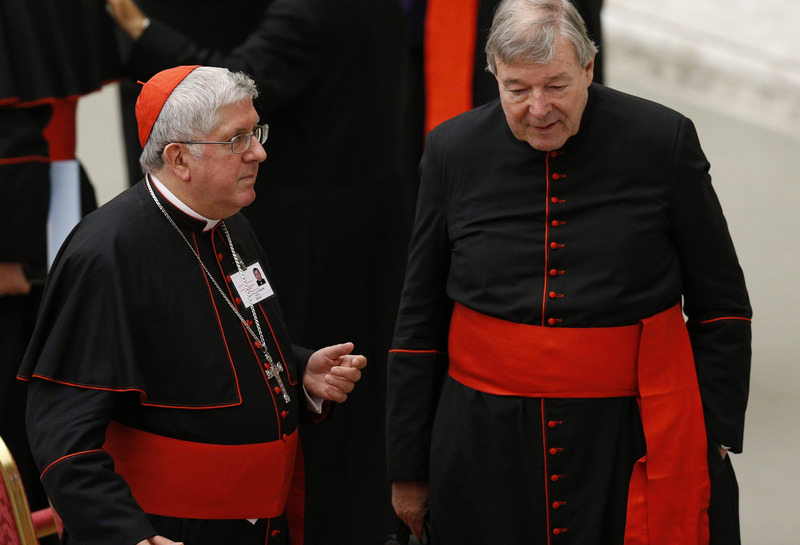 The drafting commission's goal was to compile a text that would represent all the different concerns and opinions expressed during the synod as well as create "a text which would give a pastoral direction acceptable to everybody," the cardinal said. He added that the 10-person commission voted unanimously in favor of the contents of the resulting draft. Adhering to the synod's theme of "The vocation and mission of the family in the church and in the contemporary world," the completed draft "doesn't get into very, very specific points in that sense, it is more general speaking of the great needs" facing today's families, Cardinal Gracias said. "I don't think we have seen the solutions yet," he said, "but at least we have begun to speak about the problem and we've begun to say that this has to be tackled and this has to be studied." "As we deepen our understanding, I'm sure we will find a way forward. This happened in the church before," he said, adding that by confronting and discussing challenges directly, the church "will find a way forward." The pope appointed the commission to oversee the compilation and writing of the final text, called the "relatio finalis." Cardinal Gracias said that as of noon Oct. 22, there were fewer than 100 numbered paragraphs in the draft version being presented to the synod fathers for review and amendments. The original working document for the synod had 147 numbered paragraphs. -- Oct. 22: In the afternoon, Cardinal Lorenzo Baldisseri, synod general secretary, was to explain to the assembly how the final draft was prepared. Hungarian Cardinal Peter Erdo of Esztergom-Budapest would give a brief presentation outlining the document and the text would be distributed. Synod participants will review the full written text at their leisure. -- Oct. 23: The synod assembly will discuss the final draft report in the morning, make comments and submit additional amendments and concerns in writing until early afternoon. The drafting commission will work the final suggestions and changes into a more polished final report by the evening. -- Oct. 24: The final document will be presented to the assembly in the morning and come up for a paragraph-by-paragraph vote by the synod fathers in the afternoon. The text's approval will require a two-thirds majority vote. Pope Francis will receive the final text in Italian. The pope will decide whether to make the text public or not. -- Oct. 25: Closing Mass in St. Peter's Basilica.